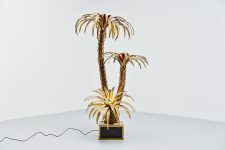 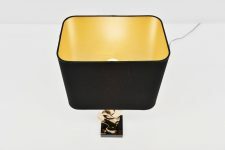 Amazing sculptural table lamp designed and manufactured by Michel Jaubert, France 1970. 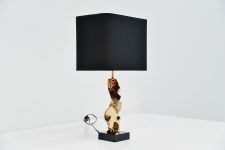 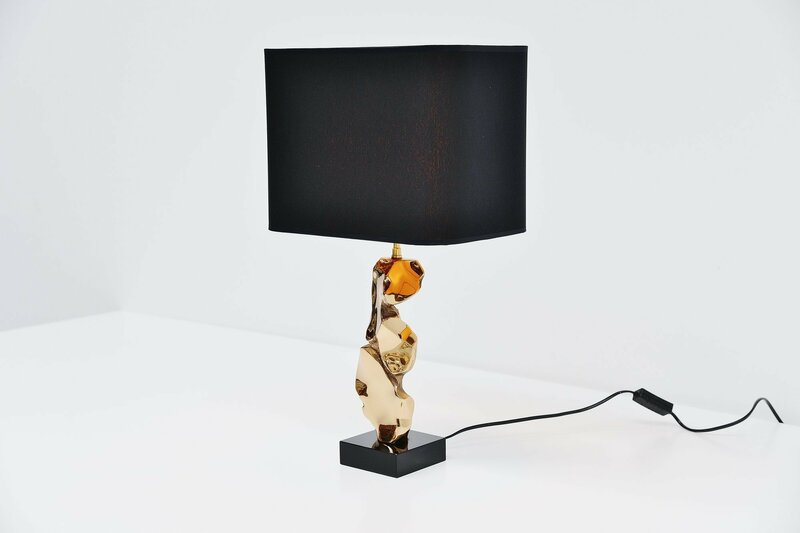 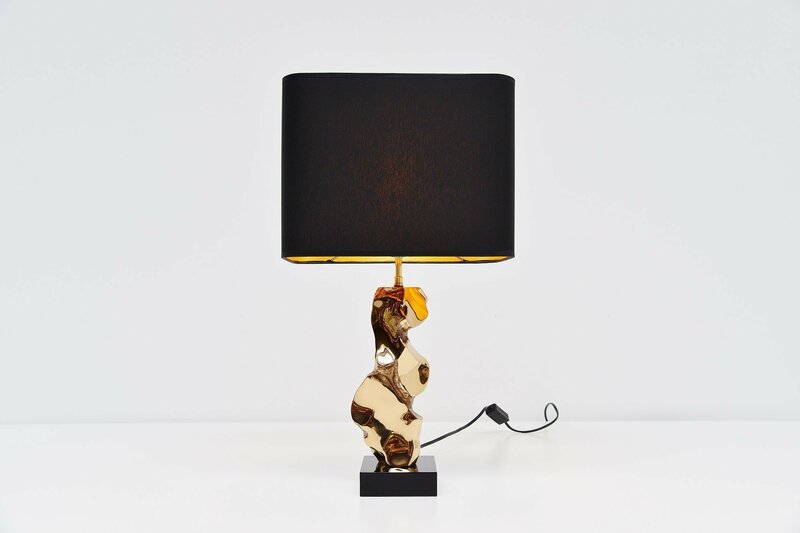 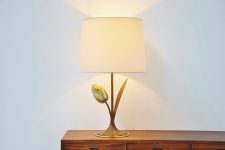 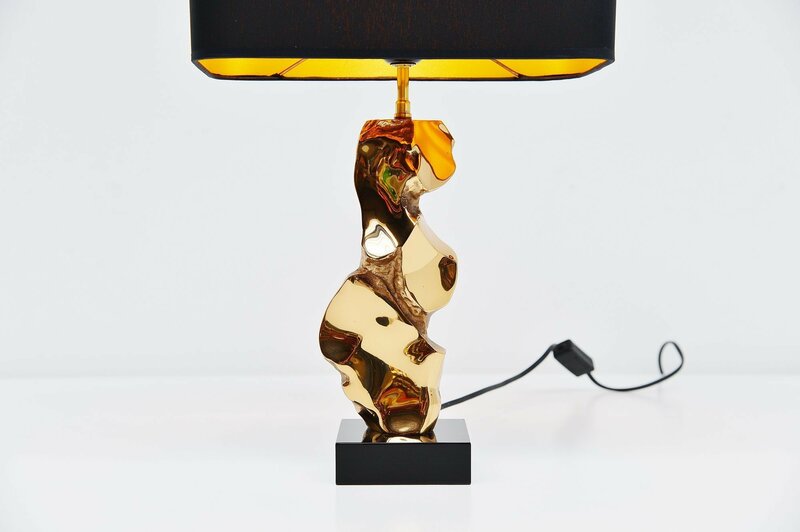 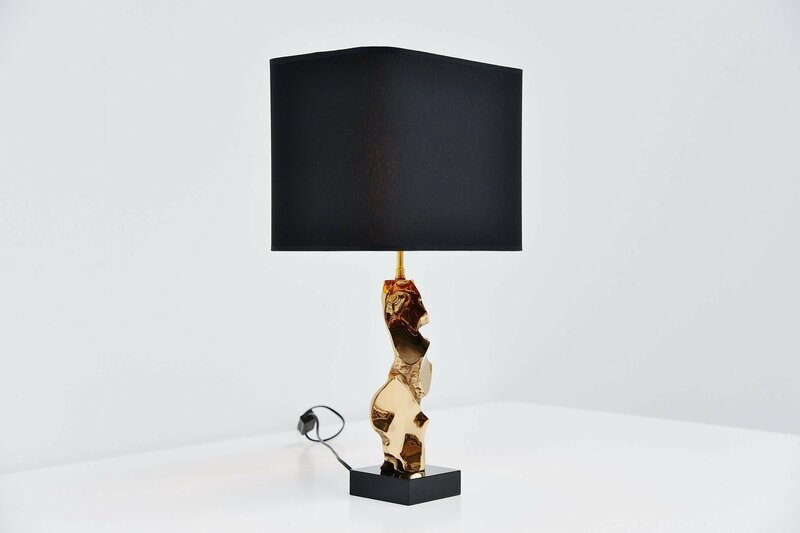 This hand sculpted lamp is more a piece of art that gives light as well. 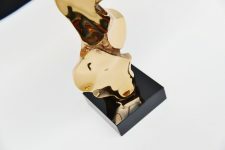 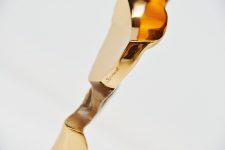 Solid bronze sculptural foot with black lacquered wooden base. 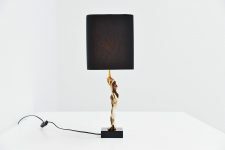 Lamp looks really greay when its lit when the light reflects in the bronze base. 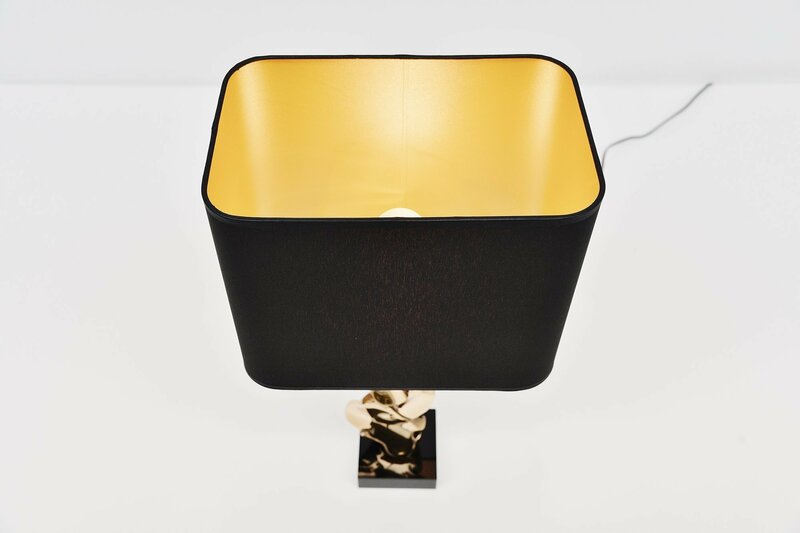 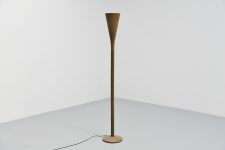 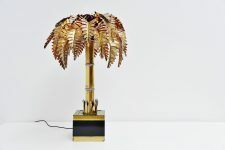 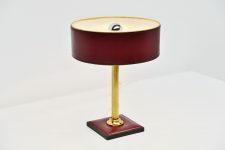 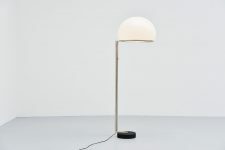 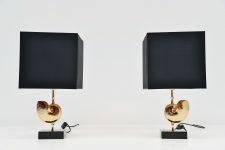 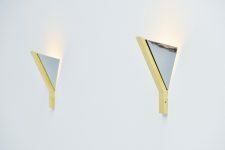 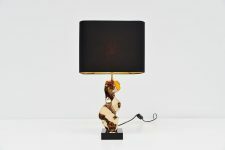 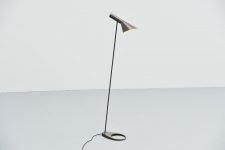 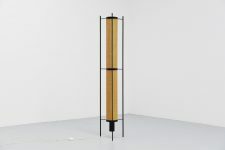 The lamp has a new shade with golden inside and its also marked accordingly; M. Jaubert on the bronze part. 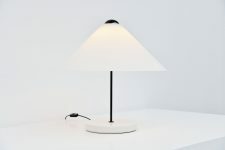 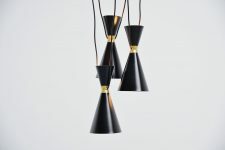 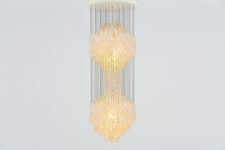 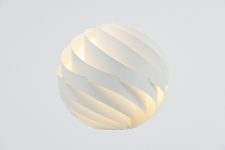 The lamp uses an E27 bulb up to 100 watt.